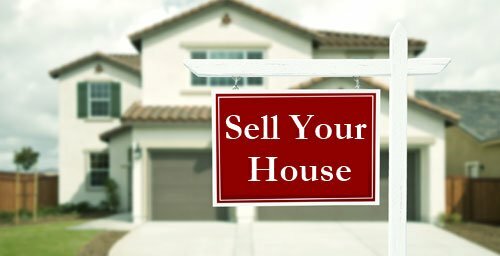 It’s great to have your own house but there are times when you need to sell it quickly due to a number of reasons. It may be due to you getting a divorce, getting behind on payments, the house need extensive repairs, inheritance or any other reason. When you go out and do some research, you will quickly discover that selling a house takes a lot of time and you are not always going to get the asking price. This is the reason, many smart homeowners choose to sell to real estate investors offering “sell my house fast” deals, instead of listing their home through a real estate agent. However, there are a number of misconceptions regarding companies that advertise, “sell my house fast” deals. Here are the three main misconceptions regarding the companies offering to buy your house quickly for cash. This is one of the biggest misconceptions regarding companies that buy houses in as-is condition. Keep in mind that these companies are run by real estate investors who have been working in the real estate market for many years and are aware of the current market conditions. We can assure you that our offer will be fair, when your account for the realtor commissions, closing costs as well as the money you will need to spend on repairs and other such things. When you sell your house to us, we won’t ask you to make any repairs or do any kind of staging or any other such thing that will cost you money. We will buy your house in any condition and will make you a fair offer. However, you need to understand that when you sell your house through a real estate agent, you will have to pay the commission as well as closing costs and you will have to wait for several months in order to get a fair offer. On the other hand, we will give you cash upfront when we buy your house. It does not take a lot of time. In fact, our legal team will take care of all the paperwork and any other necessary things to make sure the deal is closed in less than four weeks. So, if you are willing to sell your house quickly, just fill up the quick form on the homepage and we will make you a cash offer in just a few days. Our offer will be fair and you won’t need to wait for months to close the deal. It’s true that you will need to take care of a lot of paperwork if you list your house through a real estate agent. On the other hand, when you deal with us, you don’t have to worry about any paperwork or associated costs. Our legal team will take care of everything. We are experienced real estate investors and have closed many such deals over the years. So, fill up the form on the front page and we will get in touch with you quickly to make you a fair all-cash offer. So, if you want to sell your house quickly, get in touch with us today and let us help you get cash in your pocket quickly.